With immense experience as two wheeler distributors, Lakshmi Hyundai carried enough confidence to embark into four wheeler segment. 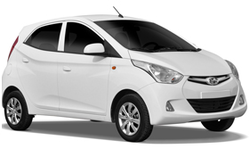 Since its inception, Lakshmi Hyundai has been instrumental in laying a sound retail sales track in A.P to the Hyundai. Besides the entry of new Co-Dealers it triggered the managerial expertise and created an unmatched contrbution to HMIL. Our group founder's Managament Strategies and well structured operations lead to have our presence in other fast growing ciites like vizag, Rajahmundry, Vijayanagaram and Sangareddy in Andhra Pradesh. Impacting the kind of professional work culture we maintain, proritized customer care and reaching certain targets and figures, HMIL(Hyundai Motors India Limited) awarded Lakshmi Hyundai with prestigious "Elite Dealers" status. Its excellent relationships with bankers and financial institutions statewide have placed it at a stronger vantage driven by employees over 1200 with customer friendly attitude. Lakshmi Hyundai forays its wings across the state of A.P to reach other states like Karnataka to server Hyundai customers. Already established with a 3 S (Sales, Serivces and Spares) facility, Lakshmi Hyundai has two more showrooms in Bengaluru. Lakshmi Hyundai will be extending its services to other parts of Karnataka very soon.